Today is Employee Appreciation Day. At Cox Enterprises, employees are our most important resource, and we offer a variety of benefits to support them in and out of the office. 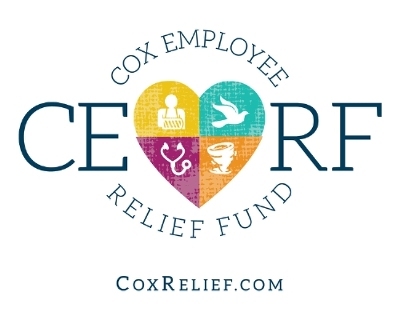 The Cox Employee Relief Fund (CERF) is one way the company assists Cox employees and their families. Celebrating its 11th year, CERF was established hours after the devastation of Hurricane Katrina by members of the Cox family and the James M. Cox Foundation. "CERF represents the best of our company's culture and values," said Cox Enterprises' Chairman Jim Kennedy. "Through CERF, support for our employees extends beyond the workplace and makes a meaningful difference in their lives when they face critical, financial hardship." CERF has grown to become a 501(c)(3) charitable organization supported by employee donations. Its mission is to assist employees and their immediate families impacted by life's setbacks, including natural disasters, injury or illness, or loss of a family member. CERF has aided employees with funeral costs, unexpected medical bills and rebuilding their lives after natural disasters such as Hurricane Sandy. Learn more about the program at https://www.coxrelief.com/ and hear from some of the employees who have received support at https://www.coxrelief.com/testimonies/.